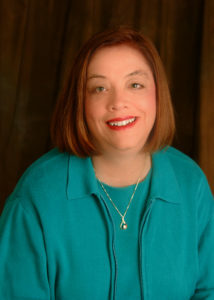 Pamela M. Feely, CPA, MBA is the owner of Feely Consulting, LLC. Feely Consulting works with candidate and issue committees on Financial Reporting and Compliance in Colorado. Previously, Pam owned Feely & Associates, PC, an accounting firm specializing in tax and accounting services for small and medium sized businesses for over 20 years. Pam served as Congressman Ed Perlmutter’s first treasurer in 2005. She currently serves as Colorado State Senator Andy Kerr’s treasurer, a position she has held since 2006. She has served as treasurer on numerous other campaigns. Pam currently serves on the West Metro Fire Protection District’s Board of Directors, located in Lakewood, CO. She was appointed in June 2009 and re-elected in 2010, 2012 and 2016. Pam represents Special Fire Protection District’s on the state’s Fire, Police Pension Association. She was originally appointed in 2011 and re-appointed in 2015. Pam is a graduate of Regis University for both her undergraduate degree (1979) and her masters degree (2014). She also is a graduate of Leadership Jefferson County (1994) and the Bighorn Fellowship (2004). Contact Pam using the form below.